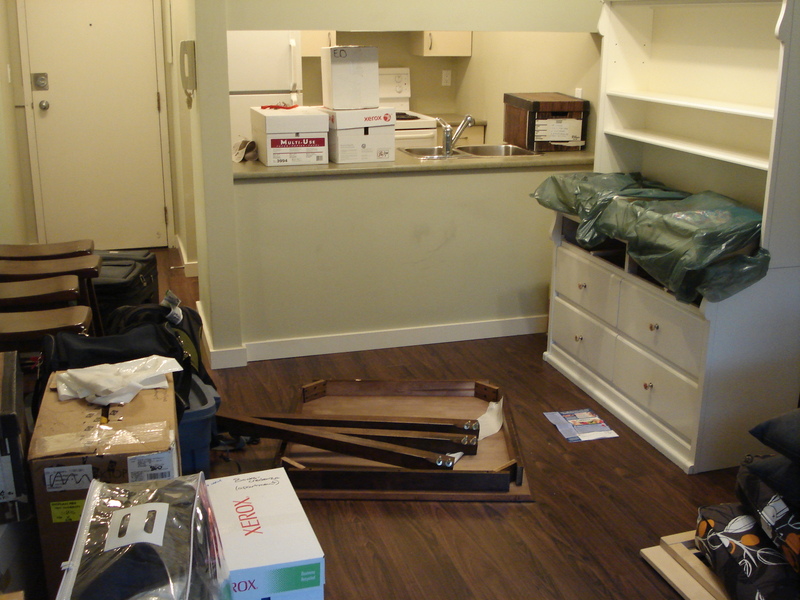 On November 21, 2010, I moved into a sweet little nifty apartment in East Vancouver’s Hastings Sunrise area. I made the move for emotional and financial reasons and my snug little place welcomed me in a cozy embrace of mirrored closets perfect for impromtu vanity dance parties (with or without air guitar) and east-facing windows that allowed my poor little light-starved houseplants to double in size during my year there. It was also around this time that I started making the necessary changes in my life to allow my poor little timid heart and mind to double in scope and experience and the world around me, when I ventured out of my little Hastings Sunrise nest, welcomed me with new people, new places, support from all sorts of unexpected corners, and a new sense of self I hadn’t had before. 1: My apartment has been up for sale for quite a few months now. I knew this, and when my landlady called to tell me it had been sold to someone who wanted to move in in December, I was ready to accept that (and of course, I had to, ready or not). I hope the new owner loves her snug little place as much as I did. 2: Regardless of whether the apartment sold or not, it was time to move on. New adventures await me following some recent changes and sometimes that means a new location. I will still be in East Vancouver. My houseplants will still have lots of light. My new place will be pretty nifty once everything is unpacked. But it is time to say good-bye to the nest that cradled me and to create a new kind of home with a new kind of happiness. Funnily enough, as I was packing up my belongings to move and sorting through what would stay and what should be sloughed off, it was not the loss of my east-facing balcony that saddened me. It was not the loss of my tiny but perfectly proportioned kitchen that made cooking a dream (EVERYTHING was within reach). It wasn’t even losing the neighbourhood with East Vancouver’s best views (visit Wall Street or Burrard View Park if you don’t believe me). The loss I grieved over was an old empty bottle of Blasted Church Gewurztraminer. It was a bottle an old flame and I purchased in an old life, three years and four apartments ago. At the time, I was collecting wine bottles, and Blasted Church’s labels are certainly worth keeping the bottles around for. This bottle survived every cull as I moved from home to home and until recently had occupied a prized spot in my credenza flanked by William Nicholson’s Wind on Fire trilogy and Neil Gaiman’s Stardust. When I removed this bottle from the shelf I looked at it for a long time. I looked at the label, a drawing of a priest fishing and a russet-coloured dog standing on alert. I tapped my fingernail on the glass. I woke up a lot of ghosts–old memories and old dreams. Memories of another cold November night, being warm inside with wine, wondering through my blushing haze if this was going to be love (and already being quite sure that it was). Dreaming a lot of things but never dreaming of the life I actually have now. Being another girl, in another time, a 22-year-old who thinks she knows with complete certainty that what she wants in life is just to make rusty carnival-like plays with accordion music in them (and to hell with money!) and maybe, just maybe, that the next time she says “I love you” to someone it will be the last time she ever says it. Oh my my. I held this old bottle of Blasted Church Gewurztraminer in my hands for a very long time. And then I put it in the recycling box, with some empty yoghurt containers and last year’s Maclean’s magazines. I suppose before I dump all the stuff out in the blue bin I could go back, reach in, rescue the bottle, take it with me and keep it for memory’s sake. But I won’t. I’m full of memories already and I’m making new ones everyday. Rescuing a symbol won’t rescue the dreams that have already run their course and that’s okay. That’s growing up. That’s movement. That’s a fine thing to smile over someday when I have children perhaps and they are sad when they realize they don’t really truly believe in fairies anymore. Impermanence is what makes it all so enchanting. And whether my fairies are “really truly” or not, I live an enchanted life. Not always the way I thought I would, or where I thought I would, but a new home beckons. A new life to build that promises incredible things. Time to move out, move in, and move on.